In the first part of the Workshop, I will talk about the basic concepts in Price action based trading and combine advanced knowledge/experience to make the concept an actionable trading strategy that can be used immediately. Many of the price action based strategies are discretionary in nature but as am a rule based trader, I will be teaching you a simple rule-based strategy (for both positional and intra) that can be used as a basic building block to trade any asset class including stocks, options and futures. On the whole, this one day workshop would be a complete package with a discussion about the methodology and using the method in practical real-time trading. 2. Individual who think by attending this workshop, they will become rich quickly. 3. Individuals who fear work. Attending the workshop is the EASY part. There is actually lot of work ‘after’ the workshop. 1. Why price action based trading? – They say ‘Price is the king and it precedes everything’. Is it really true? 7. 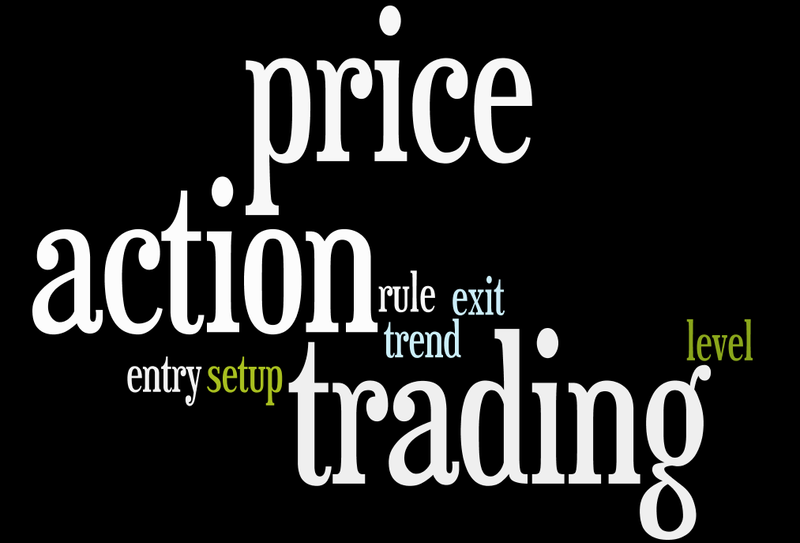 Positional price action concept with multiple set of mechanical (rule-based) entry/exit rules. Participants can choose the best set of rules based on their psychological comfort level – some are comfortable with profitbooking(targets) and some are comfortable with trailing stoploss. 1. What is an ‘edge’ in a system? How to quantify an ‘edge’? Do I really have an edge in my system? 2. How to efficiently backtest a strategy – what to look for and pitfalls? 3. How to evaluate backtesting results to find the optimal risk to be taken per trade? 4. Why taking 2% risk per trade will not work for everyone (like the way it is suggested in popular books)? 4. Money management in trading – how to tailor made money management based on the backtested results? a) How to create a consistent equity curve so you can get off the roller-coaster ride and sleep at night. 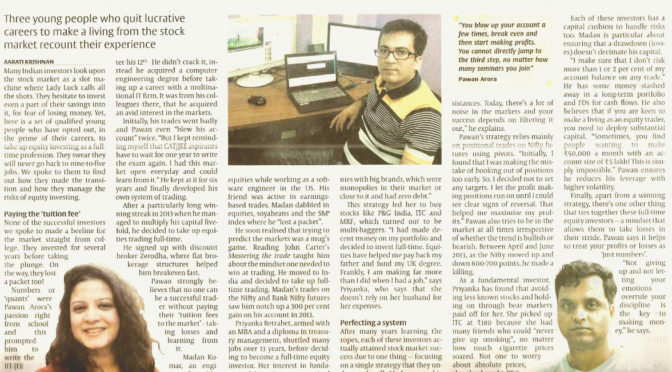 Met around 20 sensible/vibrant group of folks in Bangalore for my 1st ever Price actionsystem trading workshop and humbled to receive great response from from the participants all over. Thanks for listening guys and hoping to interact more offline !! What an engaging/inquisitive set of people (around 20) in the chennai workshop. Brilliant group of folks in Mumbai workshop yesterday. Thoroughly enjoyed interacting with them and humbled to have participants even from other states. Thanks for your love – appreciate it. Met couple of dozens of wonderful ppl in the chennai workshop. As usual, lot of logical Qs and more than 50% of the folks came from outside towns/cities. 1. Telegram support group for the attendees (1 month duration) to clear out workshop related doubts. 2. My favorite PDF books on Money management, psychology and much more. Happy trading and looking forward to meeting you in-person !! 1. Why price action based trading? 3. How to evaluate backtesting results to create a money management plan? 8. Role of psychology in trading – Everybody talks about discipline/patience but how does that relate to trading success.